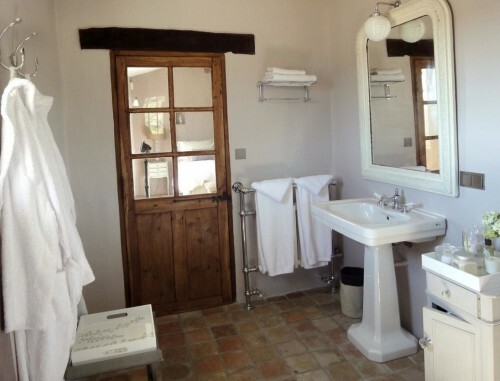 When I read about the renovation of this beautiful house in the Luberon Valley in France, it captivated my imagination with the fantasy of owning a little piece of Provence. Like Peter Mayle or our own blogosphere friend and author Vicki Archer, this owner’s tale is full of enchanting stories and slow progress. But the results are magnificent. 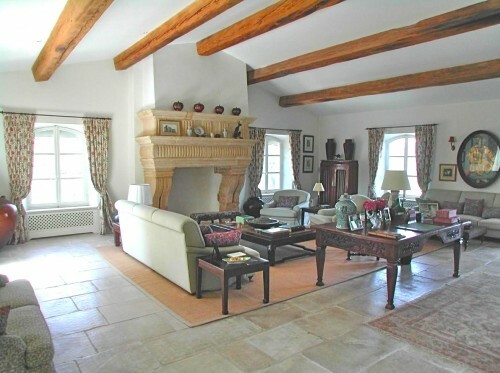 Set in the hillside of Bonnieux, not far from Avignon, the house is oozing with Provencal charm. Wouldn’t it be lovely to sit on this terrace with your afternoon aperitif? The highlight of the house is the cave sitting room. I’d love to be there today snuggled up on that cozy couch. 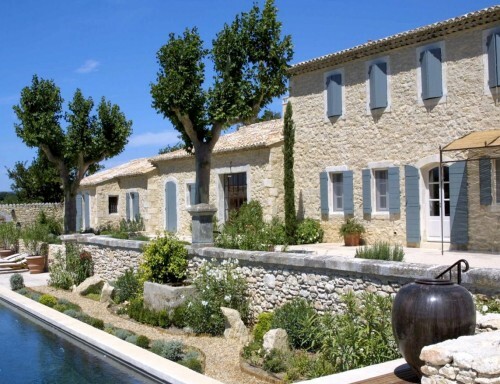 Intrigued by this beautiful example, I started researching for more houses and hit the jackpot when I discovered the work of architect Andrew Nelson, who has been building and renovating homes all over the south of France for the past 25 years. He executes renovations, builds new houses and designs gardens, frequently incorporating old salvaged materials. 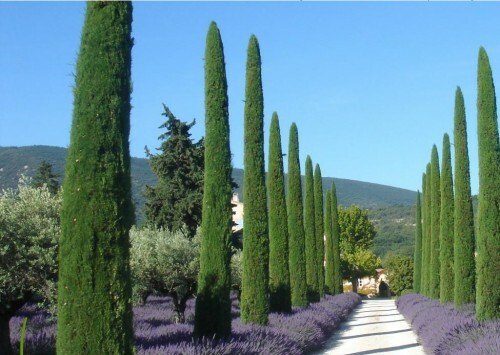 How would you like this lovely allée to be your driveway. 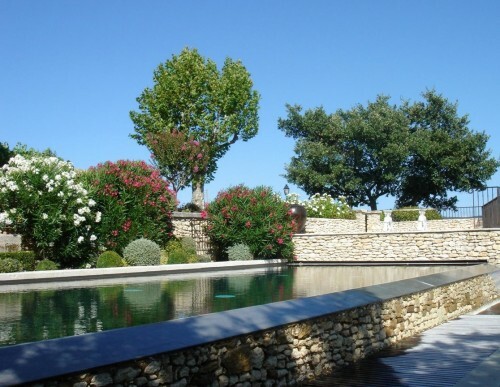 If you can’t find the “mas” of your dream, Nelson will build you one from scratch, using local stone and aged accountrements so that the final product fits right in with the glorious landscape. Watch the progress of this fabulous home. With these frigid temperatures and piles of snow, I know I’m ready to move right in – how about you?! This entry posted in architecture, interior design, travel. 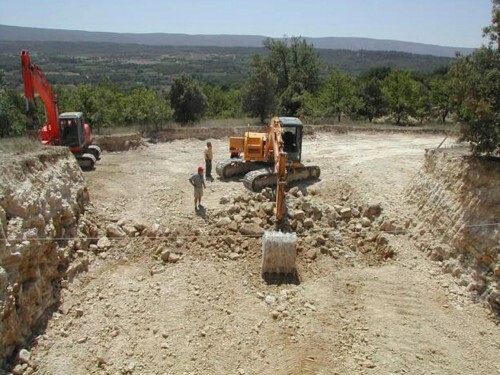 Entry Tags: Luberon, Provence, Renovating A House In Provence Bookmark the permalink. 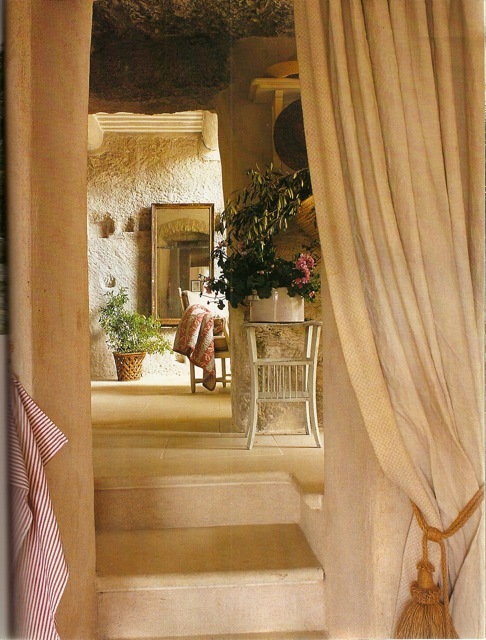 I love the facade, the interiors and of course the cave sitting room. 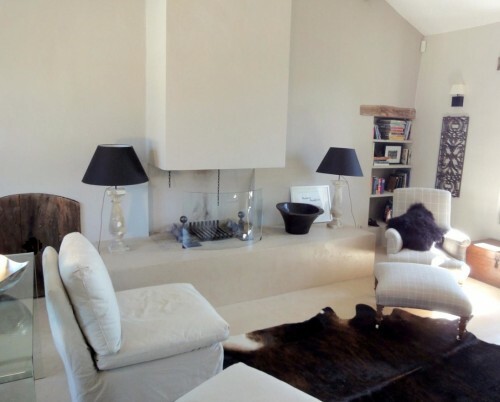 Hi Ann – Isn’t that cave sitting room fabulous?! The setting is spectacular! Such incredible beauty in such a stunning setting! All working absolutely beautifully together – that is what architecture is all about. Hi Claudia – Totally agree – love when architecture and nature have a successful symbiotic relationship! Yes, I am ready to leave this winter behind…I’m not picky either, I would happily take the restored beauty or the new gem! zhush – Either works for me as well!! Especially since the new is so sensitively done! Hi Diana – Absolutely – more the merrier! 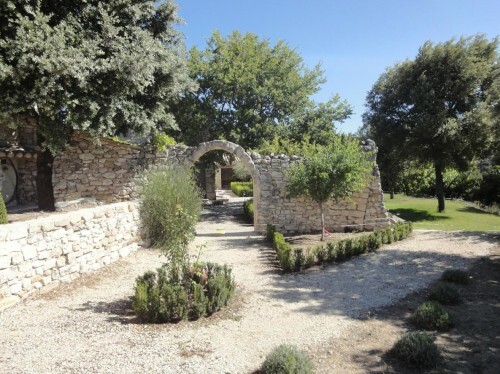 I think a big party in Provence is just the ticket! i’m ready to move right in too! so lovely. 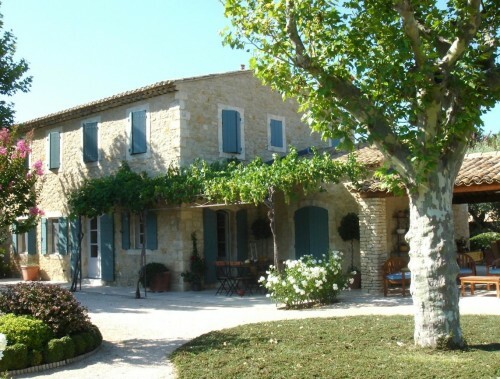 Hi Alison – This is one of my dream family vacations – to rent a house in Provence. One of my sons is fluent and I can dabble so we wouldn’t feel so isolated! Oh how beautiful! I’m right their with you! Such an abundence of talent. There is something so fluid about seeing the design of the home and grounds being conceived and executed by the same person. 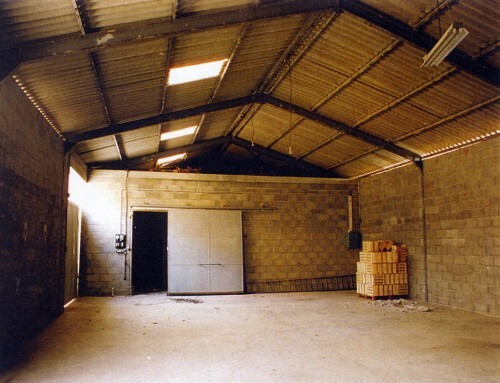 It must be so satisfying to Nelson to see a finished project…not to mention the happy clients! Hi Deb – And the design is so organic – I love how it feels a part of its surroundings. Bonnieux! My most favorite of Provencial small towns. The market there is intimate, diverse and so picturesque. Last fall we combed all over this area. Yes, even stopping in front of Vicki Archer’s favorite macaroon shop in St. Remy (it was closed!). Bonnieux holds a special place in our trip. 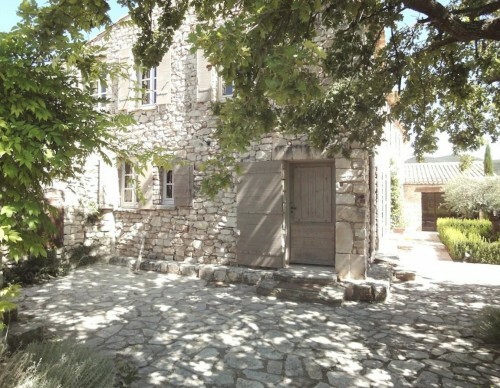 Also, it is VERY hard to see any houses in Provence. Everything is very tucked away and out of tourists view. Thank you for giving us a glimpse into what we knew was there but couldn’t see! Hi Sarah – Oh I’m living vicariously through your past trip!! Sounds lovely!! 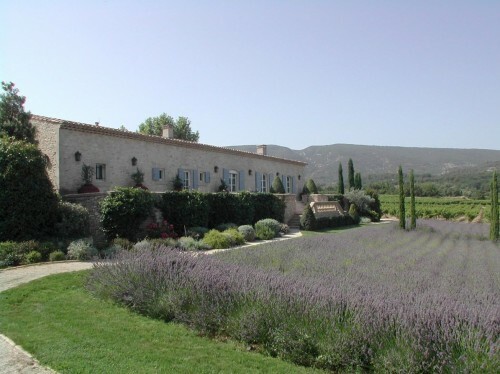 I’ve been to Provence several times, but never to Bonnieux not St. Remy. I’m definitely itching to go!! Thank you for this beautiful post. These photos take my mind off the ever-snowy landscape here in New England! Hi Nancy – my pleasure!! My too – as I’m sitting here watching what was supposed to be just mild flurries accumulate yet again!! Buzz – Aren’t those gardens just gorgeous?! This is definitely high up on my dream vacation list!! Q – I agree… bags are packed! Hi Elle – I think we should all plan a trip!! Would be so much fun!! Wow – the cave room is phenomenal! What a unique space! 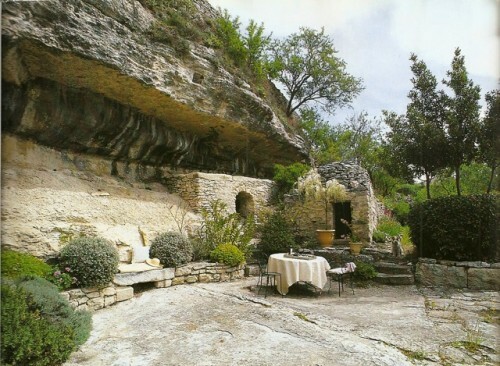 CCL – Isn’t that cave room amazing?! Must be so cozy!! 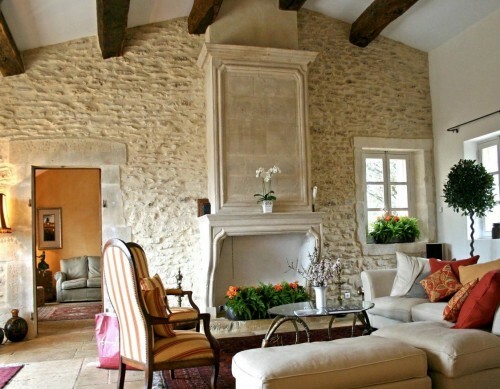 And even cool in summer with all the stone! What a transformation! 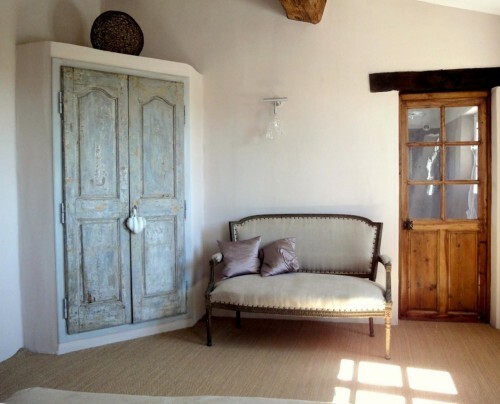 I love those interiors…but the field of lavender has me swooning! My bags are packed! PPT – Isn’t that just beautiful – can’t even imagine at the moment – where everywhere I look is blanketed in white!! Oh Jeanne – Love how you think!! My two favorites!! Hi Kelly – just what I was thinking – perfect nap spot!! Sold. Ready to go passport in hand! I can buy what I need when I get there. Hi Michael – Love your enthusiasm and spontaneity! And love your line btw! MDC – Enchanting is the perfect word! Hi Jennifer – Oh so would I – I’d like to rent a place for the whole family!! SM – Isn’t that cave unique? And it would be cool in the summer with all the stone. Perfect for lazing! Hi Jeanette – I think in moments like this – we are all thinking that. Money is not the answer but certainly affords freedom to indulge in things like this! 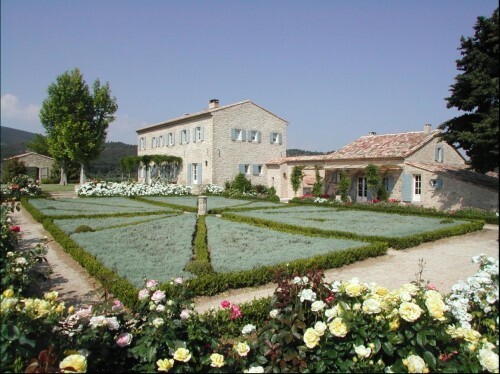 Hi Lisa- At this moment – everything seems more appealing about the south of France! I’ve started packing now. I wonder what people that live in such magnificent homes aspire to? Where do they dream of living other than where they are? I love nothing more than before and after design projects and these photos top the charts. What a thrill to see and to dream about. Thank you Stacey! My pleasure Deb – I’ve thought about the same thing – but I guess we could ask Vicki that question! I think she actually has the perfect combination – London and Provence – now wouldn’t that be lovely!! Wouldn’t it be fun to have a blogging party there – with all our online friends who we know appreciate all the same things?! OMG love. Fabulous post. I love seeing the process from scratch and the lavendar fields are incrediable. Makes me want to pour myself a glass of champagne and sit in the garden. Lovely. Hi Ann – so glad you liked this – you’re a girl after my own heart – just what I was imagining!! How beautiful! 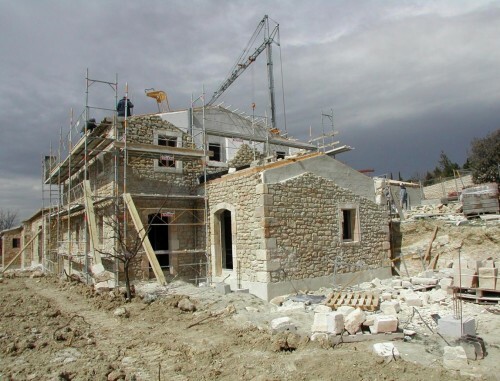 It is always wonderful to see traditional building methods working so successfully for new construction. Just absolutely stunning! I love the rustic look, and there is plenty here. Hi Teresa – I love this sophisticated rustic look as well and how it is nestled appropriately in the landscape! Stacey these homes are simply a dream…so wonderful to see the before and afters! Thank you, and yes it is frigid with snow here in Kansas City!! Hi Karena – I love the before and afters as well. I was loving this beautiful winter wonderland but the cold is now truly testing my patience. This is looking mighty appealing! Beautiful! 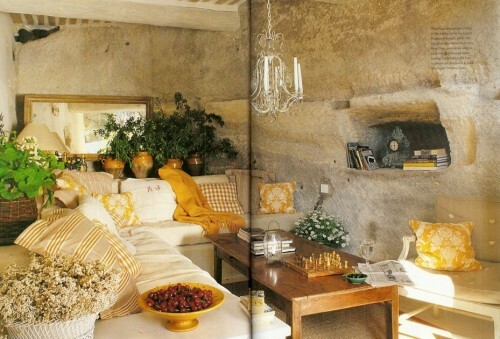 I love how they’ve integrated nature into the house, the cave sitting room and the patio with the cliff like wall. A field of lavender outside your door…lovely. Who would ever leave? Hi Carla – That’s exactly what I love about these beautiful homes – both their merging with their setting and the use of indigenous materials. 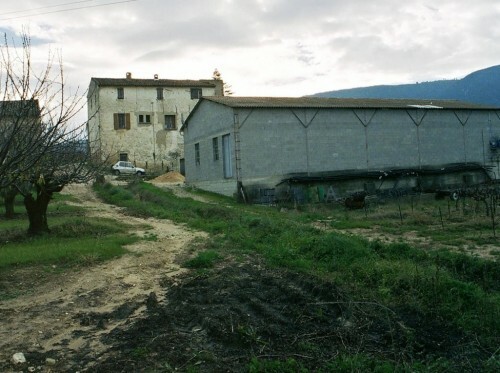 Kate – how lovely to have a friend with a house in Tuscany – we like those kinds of friends!! Yes, I’m ready for a few more degrees myself! I’m dreaming of being by the pool! Thank you Christina! Aren’t they beautiful?! I could really use a break like this- looks like we’re having early dismissal tomorrow and then maybe a snow day again on Thursday!! 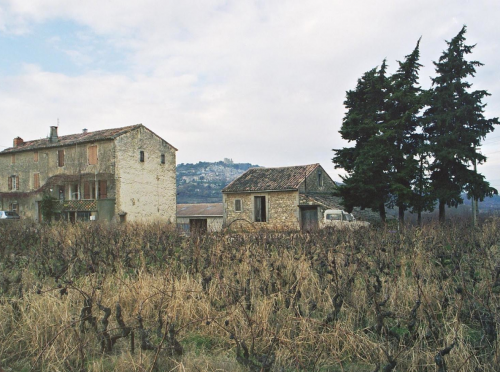 fav spot in that neck of the woods is Gordes…by the way passed on a Blog of Substance Award if you want it! Thank you Heather! 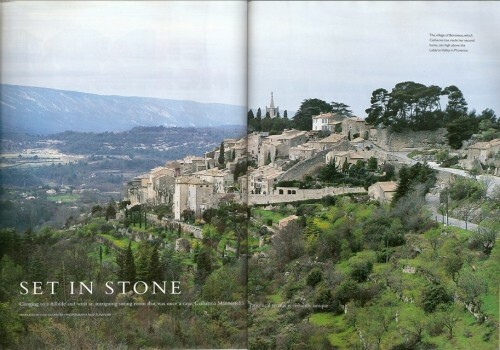 Oh I’ve never been there – my son was studying in Aix and loved Gordes. Thank you so much for the award – much appreciated!! Hi Maureen – Aren’t they lovely? I think he does such a marvelous job – I could really move right in!! I feel like I just went on a vacation! Merci! Those first four images, especially stole my heart and imagination. Ah, tres magnifique!! We are certainly on the same page this week. Love today’s wine post as well. I’m off to check out more of your fabulous blog. So glad you visited me. Yes, oh yes, I’d move in, in a jiffy. Thanks so much for popping over to my blog yesterday and for leaving a comment. Heather is lovely isn’t she? Glad to have found your blog now. I’ll be back often. I’ll move in, too! Gorgeous, gorgeous property. Thanks for visiting my blog and leading me back to you! 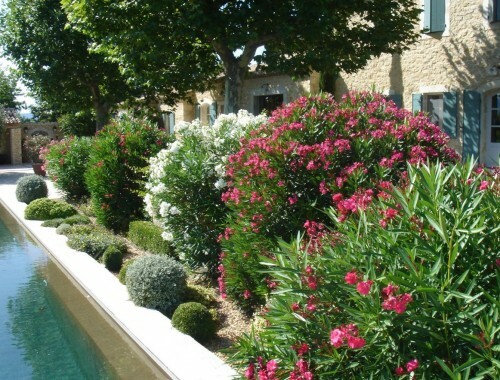 My husband’s Aunt lives in a mas in Le Collet Bas, near Provence and she is 85 and loads of fun. She just wallpapered her bedroom. Her home looks like it would be part of this post. The kitchen is one of my favorite rooms…along with the property….and an old oak tree. Oh my goodness, this is goooooooorrrrgeous! I want him to come and build me my very own version in the bottom of my garden!! It’s perfect! 83 queries in 0.771 seconds.